Renowned Mexican Environmentalist Isidro Baldenegro Lopez Is Murdered : The Two-Way His death is the latest indication of the danger to environmental activists in many countries. Honduran indigenous leader and environmental activist Berta Cáceres was killed in 2016. Mexican environmentalist and indigenous leader Isidro Baldenegro Lopez was awarded the prestigious Goldman Environmental Prize in 2005. He was shot dead this week, less than a year after another winner of the award was slain in Honduras. Isidro Baldenegro Lopez, a Mexican indigenous activist and subsistence farmer who led the fight to protect ancient forests from illegal logging in the northern Mexican state of Chihuahua, was slain on Sunday. Baldenegro Lopez, a leader among the Tarahumara people, for years had led non-violent sit-ins and blockades in protest of logging in the Sierra Madre mountain region. His efforts against deforestation earned him the prestigious Goldman Environmental Prize in 2005. 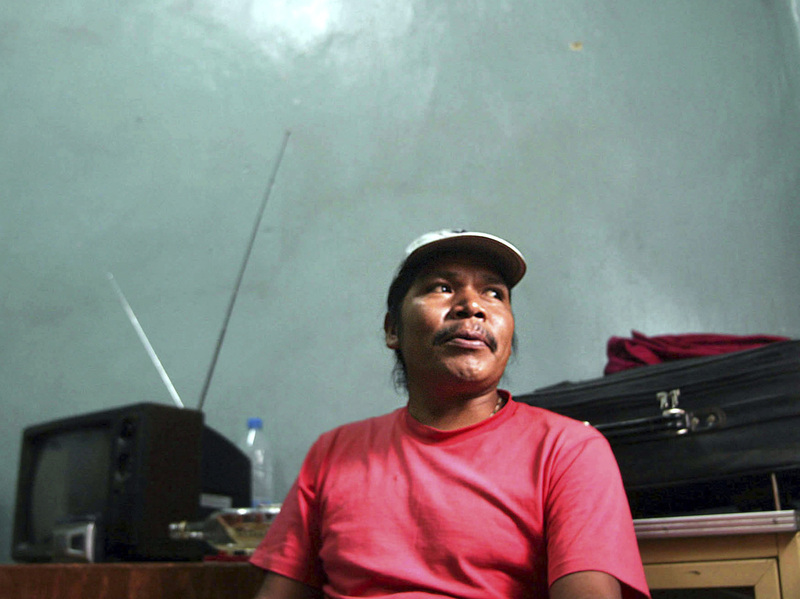 Baldenegro Lopez is the second recipient of that international award to be murdered in less than a year. Honduran indigenous leader and environmental activist Berta Cáceres was killed in March 2016. In a statement, Susan R. Gelman, President of the Goldman Environmental Foundation, said Baldenegro Lopez "was a fearless leader and a source of inspiration to so many people fighting to protect our environment and indigenous peoples' rights. Our hearts go out to Isidro's family, friends, and colleagues around the world during this difficult time." According to the New York Times, Baldenegro Lopez had lived with death threats and was forced to leave his community. But he had recently returned to visit an uncle when he was shot several times by a gunman. Reuters reports that a suspect has been identified but not yet detained. "The death of Mr. Baldenegro, coming so soon after Ms. Cáceres' murder, highlights the danger faced by environmental defenders in Latin America, where mining, energy, agribusiness and logging interests have generated violent conflict with local communities." The organization Global Witness issued reports in 2015 and 2016 documenting the death toll among hundreds of environmental activists around the globe. The vast majority of those slain in conflicts over the environment were in Latin America.